The Gerber Life Insurance Company has been providing families on small budgets the opportunity to purchase life ​coverage since 1967. The company is a separate entity from the parent Gerber Foods Products Company, although both have the common goal of helping all parents to raise healthy and happy children grow up. Gerber Life Insurance does have one unique goal however, to be the one brand all parents can trust to help them achieve financial protection and security for the family. The way they do this is offering families industry leading and affordable juvenile policies and other products that will give parents piece of mind through the years. Dating back to 1967, the company has been providing policies throughout Canada, Puerto Rico, and the United States. The company has over $45 billion dollars in issue policies currently, helping provide security for the 3.3 million policies in place. The ​coverage is not just for babies, they offer different plans as your families grows. Conservatively managed to produce a strong and reliable company, they provide families financial stability and ensures long-term growth on their investments. Gerber also has the most recognized logo in the life insurance industry in the famous baby used for decades. 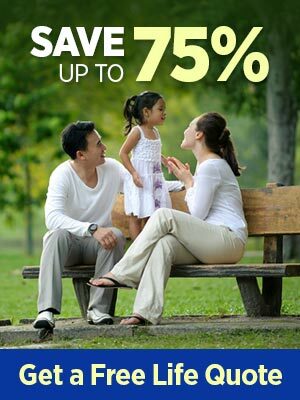 Get life insurance tips on saving money as well to better understand your options. Gerber has six different plans available for families in different stages of their lives. Here is a breakdown of the components that make up each unique plan. If you have an AIG life insurance or AARP life insurance quote you can compare those quotes with other top companies as well. The Grow-Up Plan was structured to give every child as many advantages as possible. The plan is a budget-minded and simple way to start investing in life insurance, with plans starting at less than $1 per week. Policies provide children a lifetime of coverage starting at $5,000 worth of protection. The College Plan incorporates both adult and guaranteed growth coverage in one plan. The family decides how much to put aside each month, then the child is rewarded with between $10,000 - $150,000 as they enter college. Flexibility in this plan includes premium amounts and disbursement of funds. The Term Life Plan provides families an opportunity to acquire affordable and reliable life insurance that will protect their future. Coverages vary from $25,000 to $150,000 for 10 to 30 years in length. Families are encouraged to choose the plan that fits their budget and their needs. The Whole Life Plan incorporates both protection in the event of death with a policy that actually builds cash value each year. As time passes, the cash value grows which allows families the added benefit of having accumulated cash value to borrow against if the need were to arise. The Guaranteed Gerber Life Insurance Plan is simply a way to help relieve some of the burden in your final expenses costs. Upon your death, rather than your family being burdened with bills as high as $7,000 from the funeral director, this policy will cover those final expenses and more. In the event of a covered disabling injury or accidental death, the Accident Protection Plan provides cash benefits that range from $20,000 - $100,000. The rate is guaranteed to never go up, regardless your health or your age. Available for one person or spouse, coverage is for adults 19 thru 69.